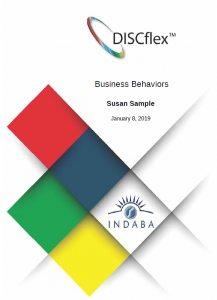 The DISC Business Behaviors Report explains how your DISC profile will influence your preferences and natural behavior tendencies at work. The report is personalized to each user and includes a 360 component to allow you to see how others view your behavior as well. This report is great for: professional development. 1 Page Coaching Summary on Work Environment, Goal Setting, Interpersonal Communication, Change, Decision Making, Team Interactions, Facilitation, Receiving and Giving Feedback, Self-talk, Performance Management. 15+ Hours of Content delivered by Video, audio, scripts, and activities divided into bite-size portions. An overview of how DISC factors relate to one another (DISC sub-factors).